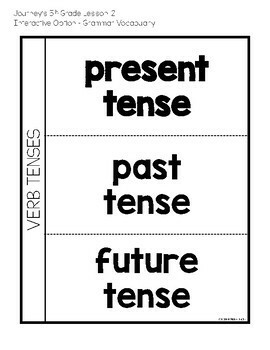 Journeys Grade 5 supplemental interactive notebook resource for Lesson 12. 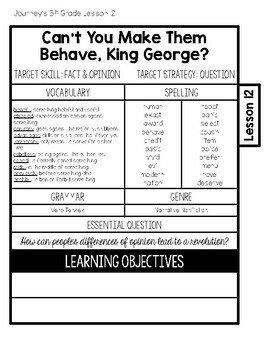 This resource was created to supplement Unit 3, Lesson 12 (Can’t You Make Them Behave, King George?). 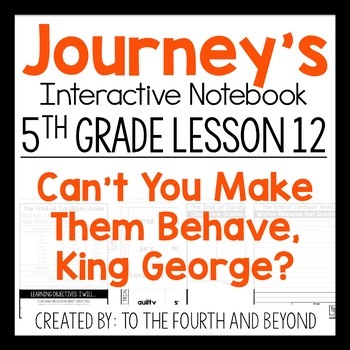 This interactive notebook pack is aligned to Journeys 2017 curriculum for 5th grade. Units 4, and 5 will be released throughout the school year! 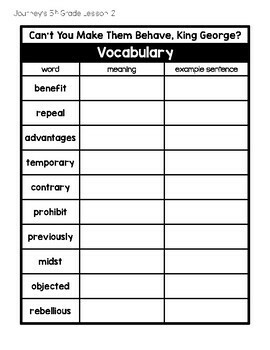 Graphic Organizer specifically for each lesson’s Anchor Text - Multiple Options! Please note, to create this product I read every story in the Journey’s manual. This product took over a year to create, edit, and revise. If you notice minute mistakes, please email me immediately and I will fix them within 24 hours. Thank you! Please Note: These materials have been created by To the Fourth and Beyond - Anna Monteil. The materials are not developed or endorsed by the Houghton Mifflin Publishing Company.